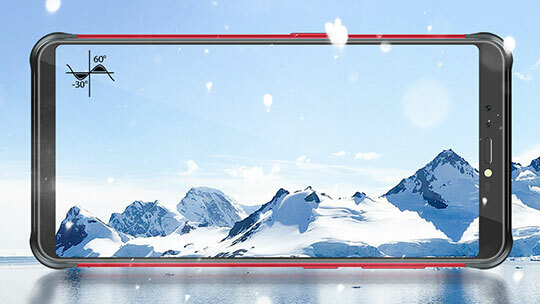 This remarkable Smartphone comes with 5.99 inches of FHD display with an aspect ratio of 18:9 and resolution of 2160 x 1080. The Gorilla glass looks after the screen protection of the device from scratching or sudden impact. The brightness level of Vernee V2 Pro is totally awesome which makes it an ideal phone for reading books or any other form of text. 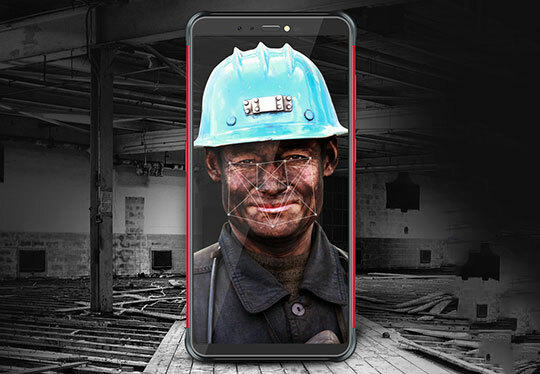 This Smartphone comes with IP68 certifications and it is available only in single version – black color with red color shades appear on the sides. Recommended for you: The All New OnePlus 6 Smartphone Review – All You Need to Know! 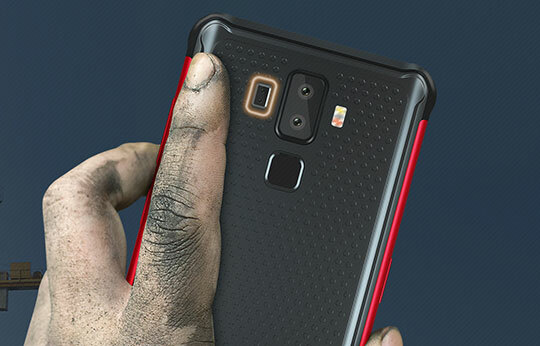 A perfect blend of Polycarbonate and Metal display is what makes V2 Pro a rugged Smartphone. The unique material used in the body prevents it from slipping or falling, courtesy to the varied number of dots your fingers can feel. If you are worried about any form of dirt getting stuck there then we are pleased to let you know that it comes with sandblasting technology. 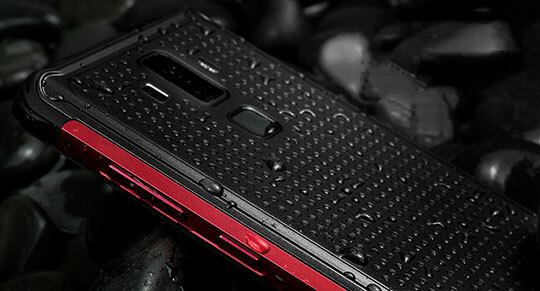 Vernee V2 Pro is also a water-resistant device and it can sustain in 1.5 meters deep water for approximately 30 minutes. The phone also features heart rate sensor just next to the camera lenses. Vernee V2 has four camera modules, two at rear and two on front. The front camera features the first module of 8MP with f/2.8 aperture, while the second module of 5MP. The back camera comes with the first module of 21MP with f/2.0 aperture and another module of 5MP. 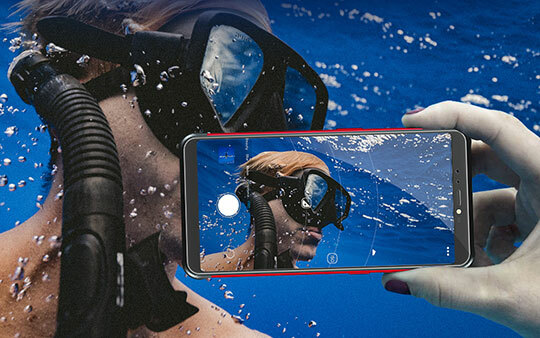 This Smartphone brags about its unique camera specification that comes with functions such as face detection, face beauty, and panorama shot. All the cameras are Quad type that facilitates video recording of 1080 pixel. Being a Smartphone of such a heavy configuration, Vernee V2 definitely needs a high-powered battery and its lithium polymer battery of 6200 mAh definitely does a fair job. It has a non-removable 9V/2A battery that lasts for more than 15 hours in video mode. In a normal mode, it can run for more than 25 hours and once discharged, it takes around 2.5 hours to get fully charged again. You may like: The New Xiaomi Redmi S2 Smartphone – Feature Review. Vernee V2 Pro is a combination of Octa-core processor along with MediaTek Helio P23 MT6763V chip. The Smartphone comes with a 1.6GHz memory speed and 6GB of RAM which is sufficient enough to do multitasking. You can even play heavy apps with utmost smoothness using this device which makes it a preferred choice for users who spend a lot of time playing games on their Smartphone. You can enjoy HD videos without any interruption or lag in performance. 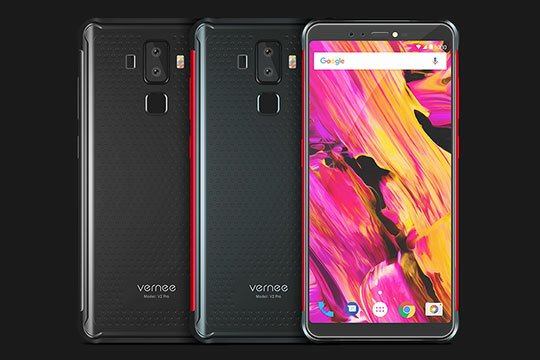 Vernee V2 Pro features ROM of 64GB which can be extended to 128 GB. It also features latest 8.1 version of Android Operating system. The NF technology offers Vernee V2 Pro to have a faster, easier and safer connection. The device will provide users intelligent life as it supports latest OTG and Bluetooth 4.2 technology. The Smartphone comes with smooth interface thereby allowing you to manage the device more effectively. 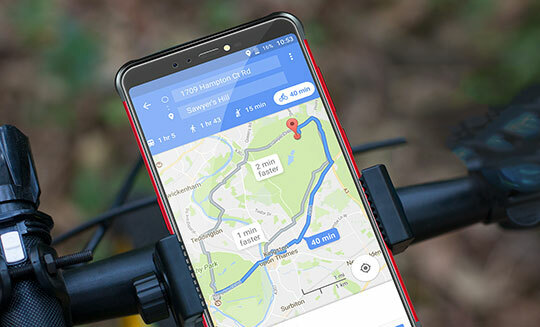 When you are outdoor, you can take help of all its practical functions such as Pedometer, Compass, Gyroscope, GPS, gravity sensing system, sound recorder and much more. This will give you clear ideal about how portable Vernee V2 Pro is. The device comes with a package size of 7.72 x 7.72 x 1.1 inches that weighs around 0.5300 kg. However, the product size is only 6.46 x 3.13 x 0.48 inches with a weight of 0.2590 kg making it an easy to carry the device. 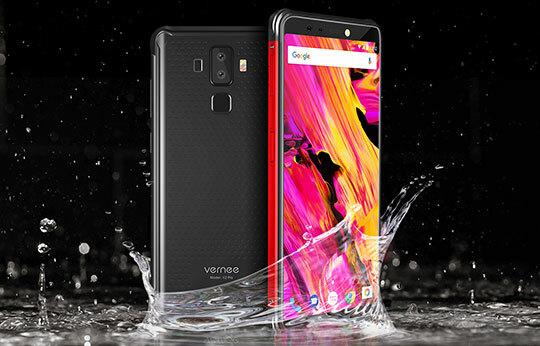 Vernee V2 Pro is a perfect representation of all the experience the company has got in the manufacturing of smartphones. It has amazing resistance and features some of its own apps to give you maximum out of it. The Smartphone has got everything that will make it stand out in the competition. Currently, it is available for a discounted price at GearBest with a decent offer. So, if you are a searching for a great rugged phone within such a price range then Vernee V2 Pro can be an ideal buy. It has amazing resistance and features some of its own apps to give you maximum out of it. If you are a searching for a great rugged phone within such a price range then Vernee V2 Pro can be an ideal buy. Will the Vernee 2 Pro work well with Verizon? I see it has several of the bands that work with Verizon, but good enough for quick data and voice? You can check the “Network” specification of the phone. This will give you the information that you can check with your carrier.